Become a Member of the BC Dems! The current map for Arkansas House districts is available from the Arkansas Secretary of State's web site. 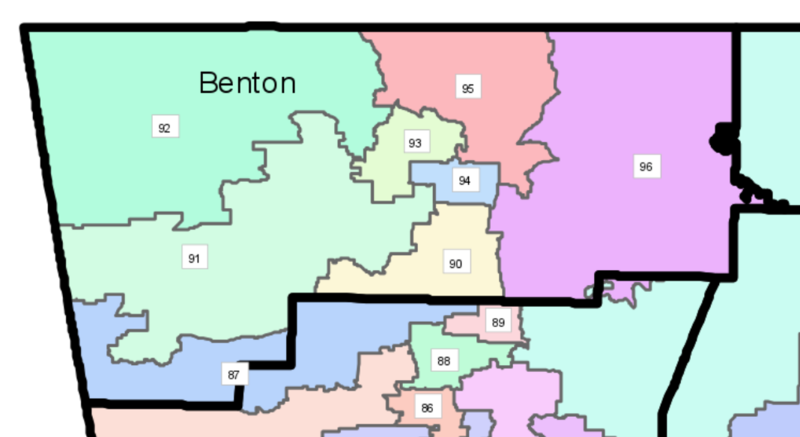 The Benton County portion of that map in enlarged form and those currently holding those positions are shown here. Contact information for each official may be found by following the associated links to their Arkansas Legislature web pages. The individual Representative web pages have more detailed maps that show what cities are within the district.